Barielle's New ProSina Signature Line - Polish Etc. 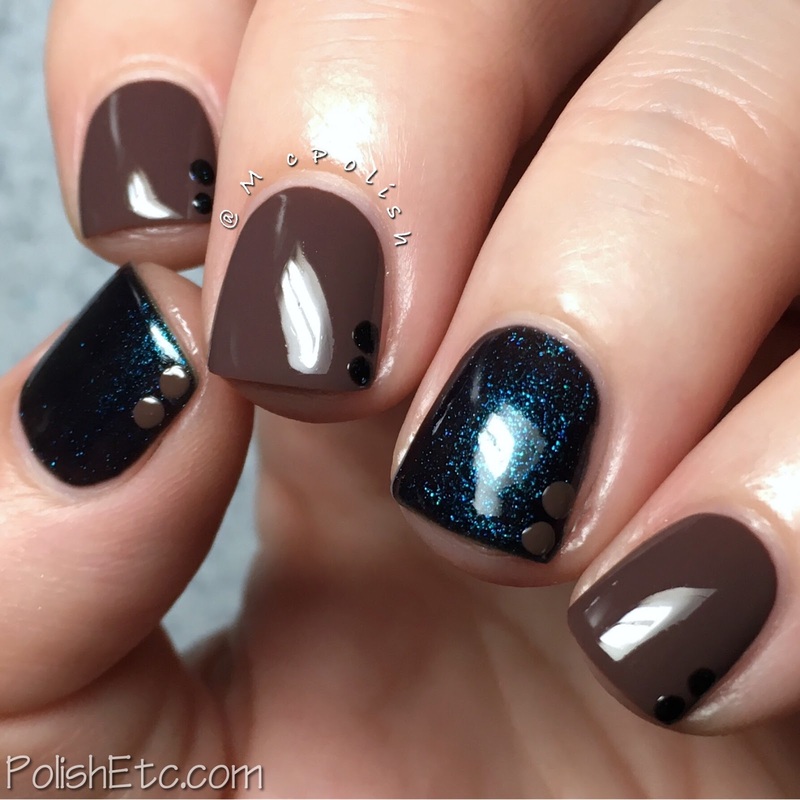 "In Good Taste" is a cool toned chocolate creme polish infused with ProSina. It is rich and creamy and applied like a dream. I did two coats for this swatch with a glossy top coat. It dried pretty glossy on it's own without a top coat but I am too impatient to not use one. 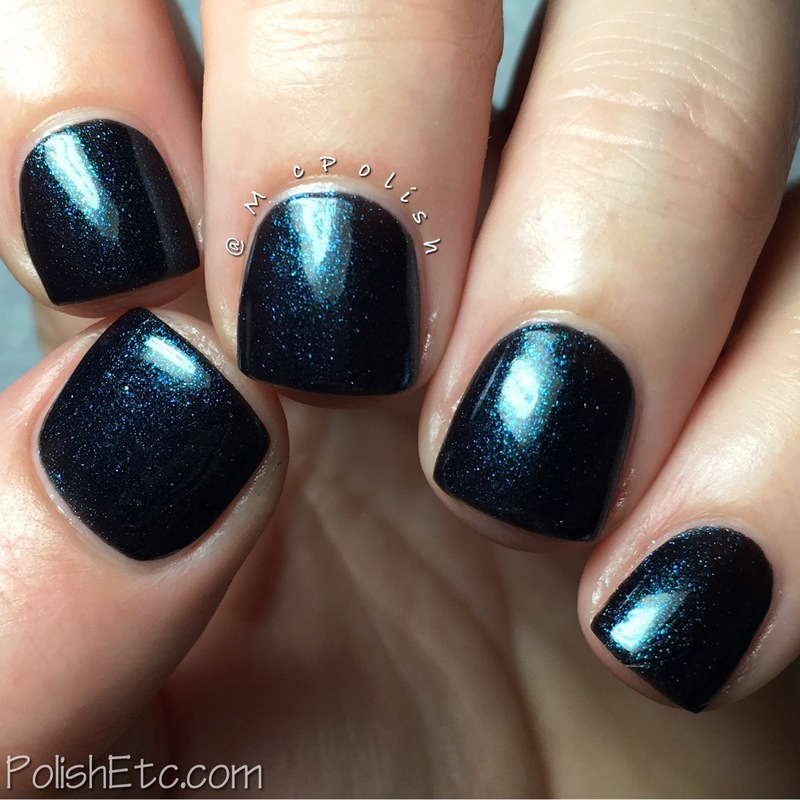 "Blackened Bleu" is a blackened jelly base with an intense bright blue shimmer throughout. This also is infused with the ProSina keratin. With the more jelly like base, this color was more sheer and required three coats to make it completely opaque. This, too, is topped with a glossy top coat. Dat Shimma is gorgeous! This new ProSina Collection is available now from the Barielle website. You can usually find this brand at local beauty supply stores as well. There are other nail treatments along with this collection for different ailments of you nails, so be sure to check those out while you are on the site.